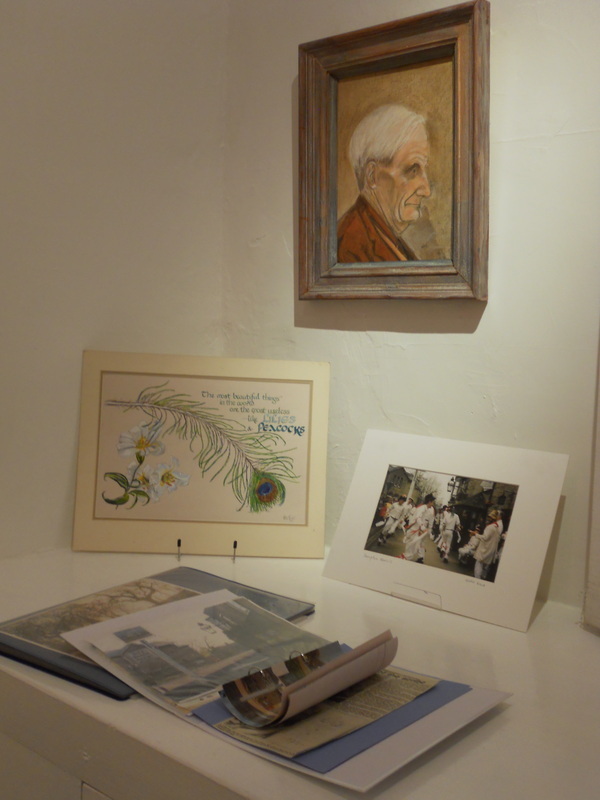 The West Oxfordshire Arts Association was born in 1973 - the brain­child of John Birkhead of Filkins, who taught at Radley College, and his wife Margaret Ralston, herself an artist of some reputation. 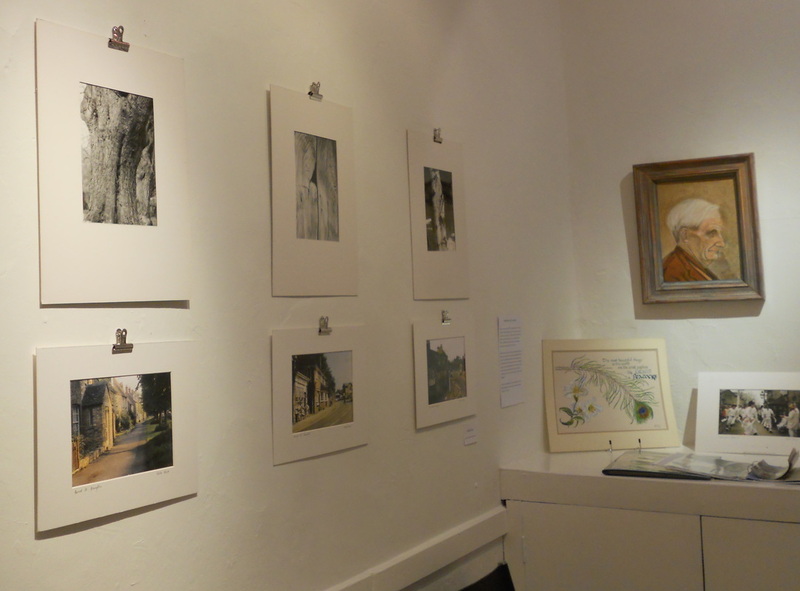 An art exhibition organized by Alvescot College the previous year had demonstrated that the neglected upper room of Bampton Town Hall had the possibility of being a local centre for exhibitions and arts events. John Birkhead was undergoing treatment in London and used the time travelling up and down to map out what form the society might take. 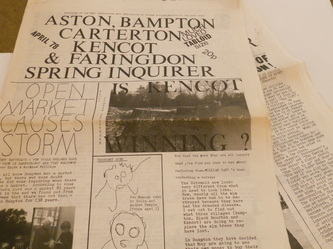 By the end of May 1973 the newly formed WOAA (as it then was) had negotiated a lease for three years from Bampton Parish Council and staged its first exhibition of paintings. The Birkheads were obviously good at networking- it was reported in the Oxford Times that over 100 people attended the first private view and that members came from many of the surrounding villages including Holwell, Westwell, Swinbrook, Harwick and Standlake as well as Bampton and Filkins. 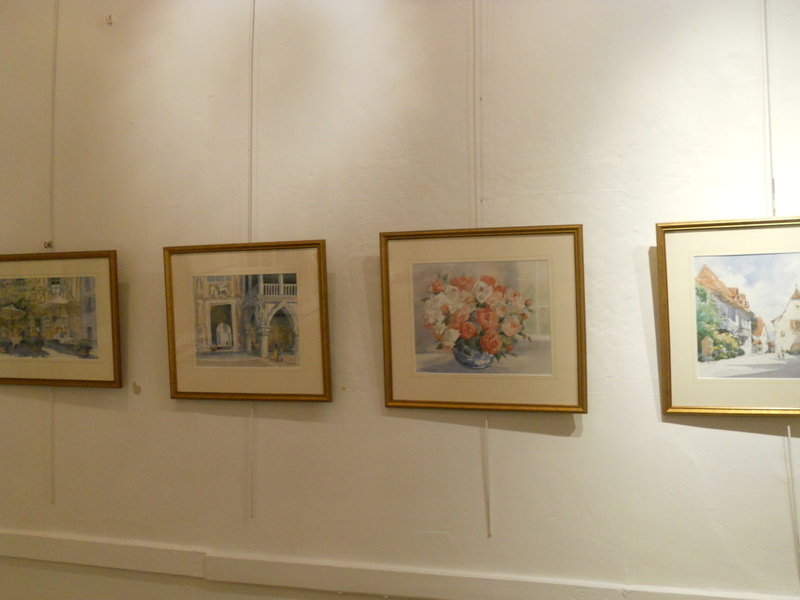 The Oxford Times noted: A considerable number of paintings were sold on the open night and the exhibition appeared to have been received with enthusiasm from people of all ages as a variety of styles were represented. In addition there were regular drawing and painting sessions and a course on 18th C literature and social history. It is clear that as well as providing exhibition facilities and an outlet for members’ work, WOAA intended to extend cultural activity as widely as possible in West Oxfordshire. Working with children played an important part in this - a number of the early members had been teachers themselves and many of the younger members had school age children. In the early years Charles Mussett led children’s holiday painting classes, Brian Winston published a summer holiday children’s newspaper, there was a children’s music workshop led by Southern Arts’ Musician in Residence, the Literature panel ran a number of poetry competitions for adults and children and the Art panel ran a Christmas card design competition. There was even an educational trip to London culminating in a visit to a children’s theatre. The range of activities and events which were offered is remarkable, especially since all those running them were volunteers and there was no paid administrative or secretarial assistance. On the other hand there was obviously a lot of good will towards the association and local (and not so local) professionals and celebrities pitched in as well. The 1974 children’s writing competition, for example, was judged by Douglas Hurd MP (who lived at Holwell) and Roald Dahl and prizes were sponsored by Barclays and Lloyds Bank, Blackwells and J.A.Pye’s of Oxford. 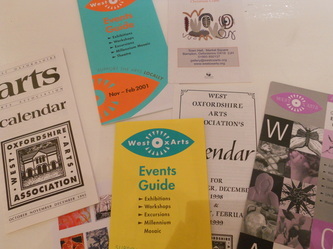 With Charles Mussett as chairman, WOAA carried forward the momentum of the early years into the 1980s. 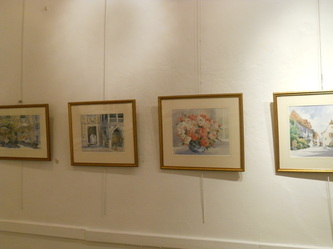 One particularly successful series of exhibitions which attracted much attention in the local press were the Rich and Rare craft exhibitions curated by Libby Calvert. Exhibits were chosen with great care that they should be of the highest quality - thus avoiding any dismissal of them as mere rural handicraft! 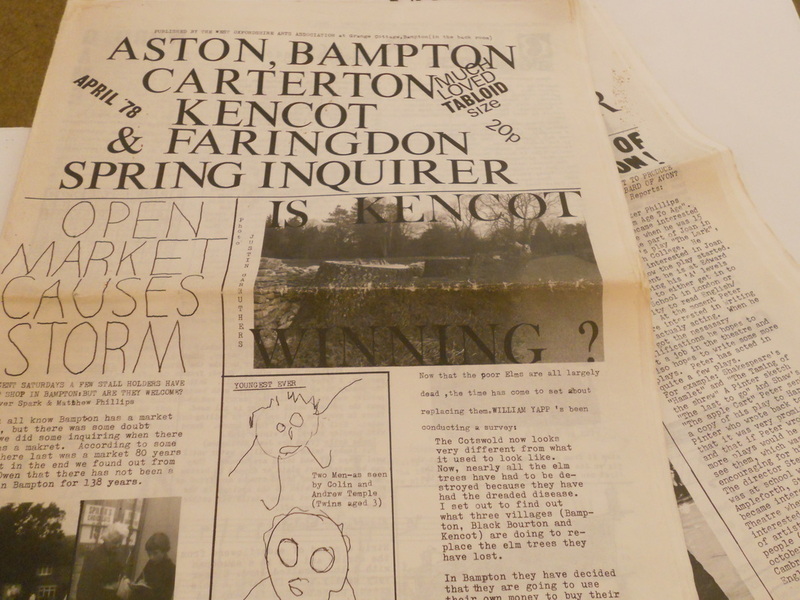 Certainly they seem to have been a hit with Peter Palumbo, then Chairman of the Arts Council, who visited the gallery in 1989 and spent (so the press report tells us) £2000! The professionalism of these craft exhibitions seems to have had its counterpart in the organization of the art exhibitions of the early 80s too. 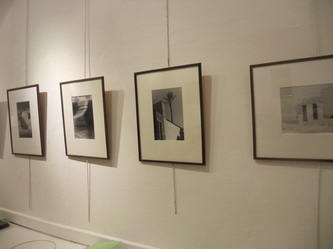 The Members’ Exhibition for 1980 attracted 138 entries which The Oxford Times recorded as being of “a very satisfactory standard”, but it is also clear from the review that the effect was somewhat crowded. That may be the reason why a second “Syndicate Members” exhibition was organized in the same year for those who saw themselves as rather more professional and wished to exhibit in rather more select company! It is also interesting to see that WOAA went out and about with plein air painting sessions for members and an open air display and demonstration at the (then) new Cotswold Wildlife Park. 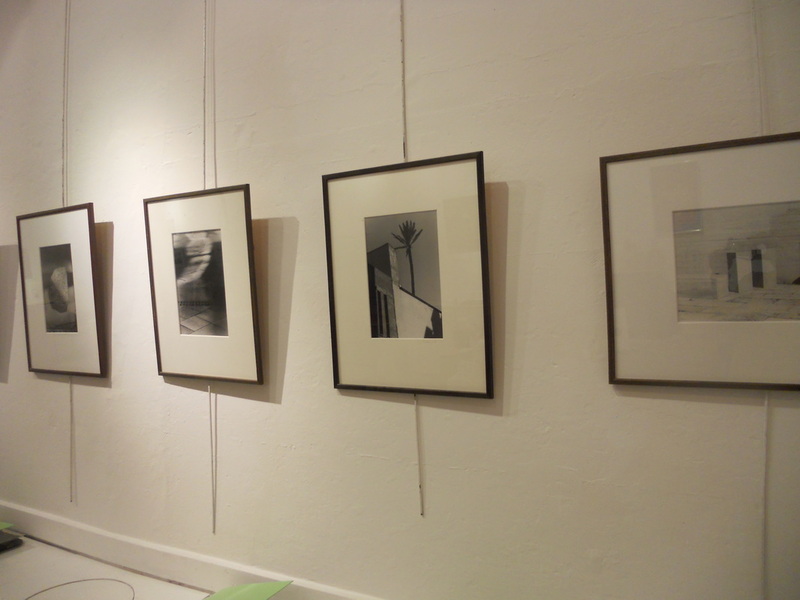 Today the focus of West Ox Arts Gallery is in the visual arts. Hosting between 10 and 12 exhibitions per year (most of which feature two or more artists at a time), the Gallery is able to promote the talents of a staggering number of artists from Oxfordshire and beyond. In addition to exhibitions, WOA strives to offer workshops, demos and art talks led by the artists it helps promote. Recently, we launched Let’s Talk! – a series of networking events aimed at bringing the artistic community together to discuss a variety of topics, from the relevance contemporary art in society to professional development for artists. Outreach is one of the major goals WOA will focus on as it moves forward in the 21st Century. We have started by inviting residents from nursing homes to visit our lovely space – a venture that would previously have been out of our grasp. Thanks to fundraising efforts of our local community and Councils, we now have a lift to make this a reality. An appreciation for art starts at a very early age; recognizing this and understanding that today’s young people are the key to our continued success, West Ox Arts is also committed to developing an outreach programme targeted on enhancing the access students have to an education in the visual arts, by providing in-classroom visits by professional artists and inviting students to visit the Gallery where they will be encouraged to contemplate and discuss the exhibitions on display. WOA believes it takes art to raise a village. We hope you will continue to offer your support as we enter into this next exciting phase of reaching out to the community and providing a platform to support artists.